Is there a way to send an email to the person that filled out our form? It can be simple like - Thank you for filling out our form, we will get back to you soon. 2. Click on "Add New Email"
3. 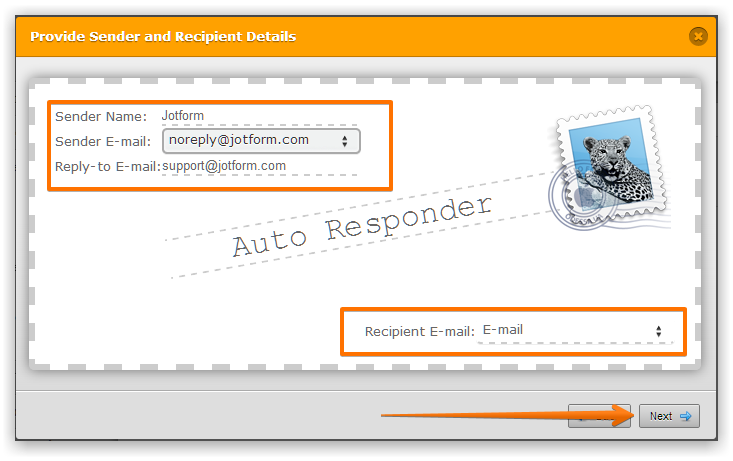 Select "Autoresponder Email" and click "Next"
5. Click "Next" and then "Finish" buttons to save the autoresponder email. Please be sure to save your form changes. If you'd like to see how your autoresponder looks like, you can test your form autoresponder email by clicking the "Test Email" button. 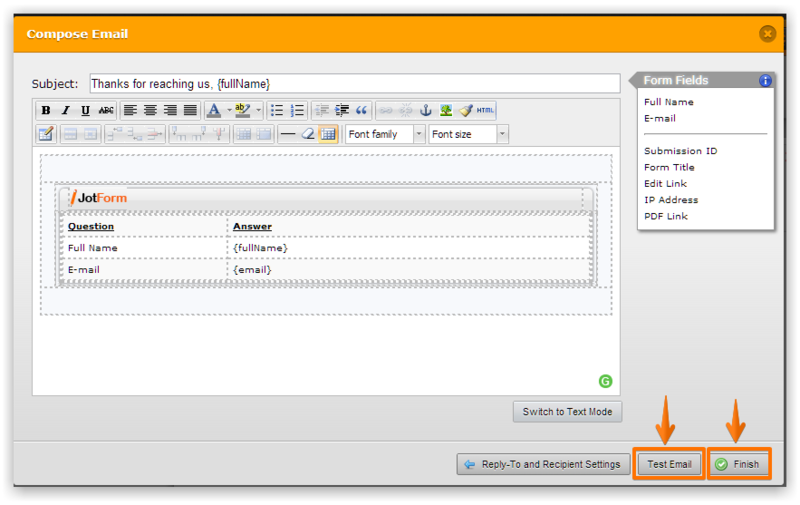 You should receive the test email to your account's primary email address. You can also test the form by submitting an actual data and using a valid test email.